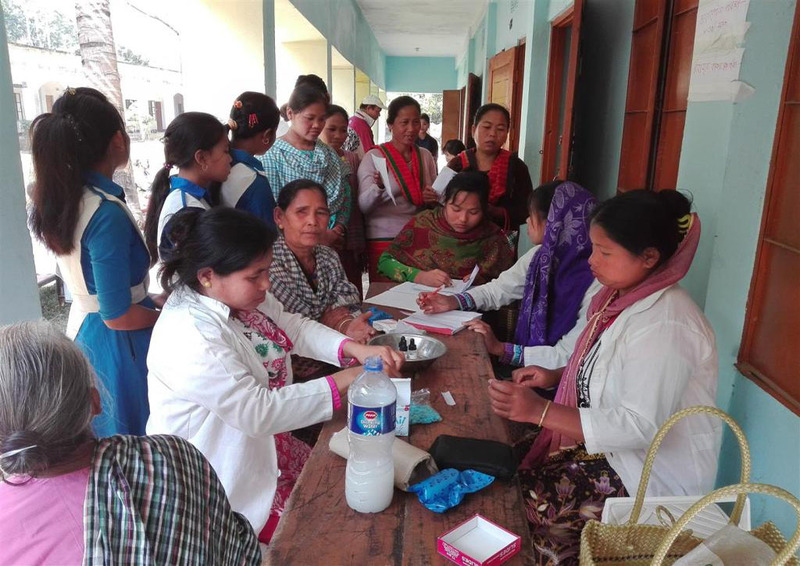 In order to provide health services, sanitation and safe water to Hill Tracts people, IDF started this program in 1995 with the assistance of Sida in Chittagong Hill Tracts and gradually expanded to other areas covered by IDF. IDF implements this program through medical officers (MBBS), paramedics, health workers and health agents. 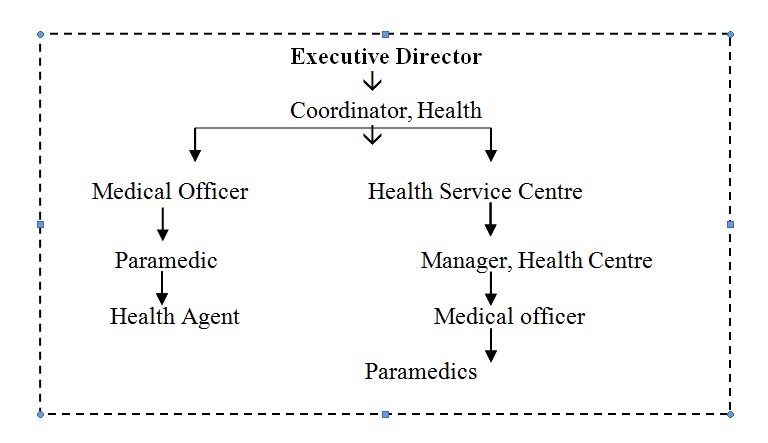 Health Workers and Paramedics are paid employees where the Health agents are elected from amongst the group members. Health agents are provided training on common diseases, primary health care, reproductive and child health, safe water and sanitation, HIV/AIDS and eye care. Health agents provide health related counseling to the members and report any illness or sickness of members or their family members to the branch managers who immediately visit the sick person and take necessary action for treatment. The health workers work under the guidance of Coordinator, Health Program. However their activities are supervised by respective Area Managers or Branch Managers depending on the place of posting. IDF is piloting a scheme to see how full health support including doctor’s check up, and full medicines costs could be provided to the members and their family members with the existing premium. Make the poor people aware of health problems and the causes of common diseases. Provide health services to IDF members and their families. Facilitate access of the poor people to health services, safe water and sanitation. Make the people conscious about the safe motherhood and child health. Develop skilled qualified, well trained paramedics and health agents. In order to achieve the above objectives, IDF runs health insurance program and covers the health risks of all family members of IDF. At present, IDF has one paramedic for two branches who provides both preventive and primary health care services members and their family members. Paramedics Service: Currently 45 well-trained paramedics are working at different in order to ensure quality counselling & treatment facilities to IDF customers. Paramedics get all support from Area & Branch Managers. All centres have elected health agents who got training on primary health care. Health agents work in her area under the guidance of paramedics and medical officers. A large number of patients received health service from IDF health program in 2016. Table 15 below shows the number of patients served by health centres and paramedics in 2016. Apart from health centre and paramedics services at the branch level, IDF organized health and eye camps regularly. The Table below shows the patients served in health and eye camps in 2016. Facilities for eye care are scarce in rural area though eye problem is very common there. The people of Chittagong Hill Tracts are more vulnerable in eye health. IDF initiated this component through eye camps in collaboration with Lions Club of Chittagong Southern in Bandarban in 2002. The costs of surgery cases were shared jointly by IDF and Lions Club. The component was undertaken as project by IDF in 2004 with the assistance of Helen Keller International (HKI) and CEITC (Chittagong Eye Infirmary Training Centre). CEITC provides training to IDF health workers on eye care. CEITC provides treatment including surgery to poor patients referred by IDF. IDF is continuing this activity as a regular program with CEITC after the completion of project in 2006. The services provided in 2016 are shown in table 18.